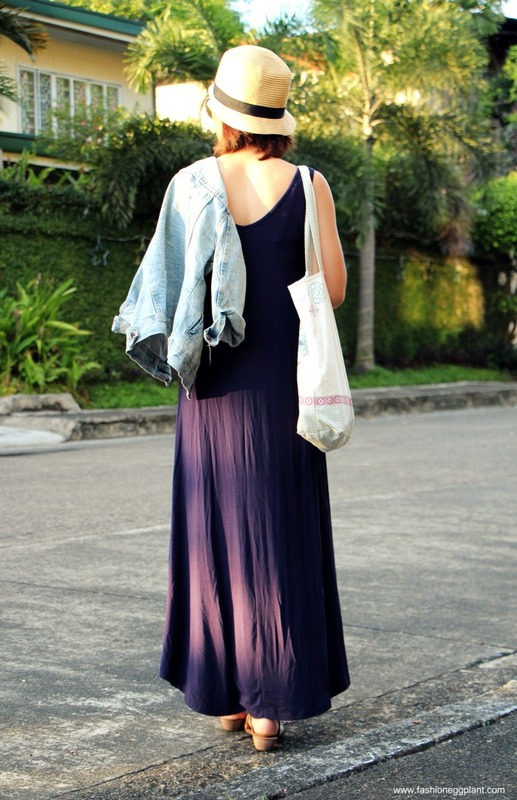 I finally got my navy blue irregular hem maxi dress from Chicnova and it's all I expected it to be and more. I already know that it's going to be a favorite summer staple for me, I plan to get it in orange as well. 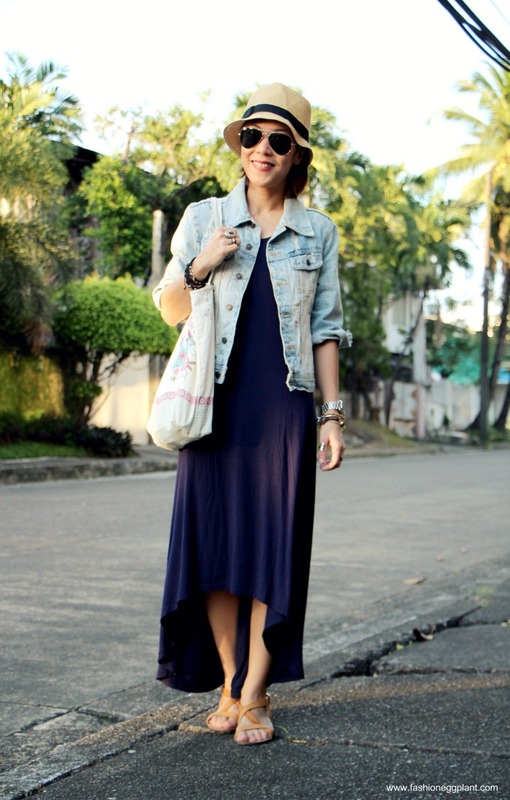 I love the irregular cut of the hem and its basic simplicity makes it easy to style in many ways. I can wear it casually like this or belt it up and add heels for a slightly more formal look. Speaking of maxi's, my sewing machine just got repaired earlier today (yahoo) so I'm going to start working on some new DIYs, tutorials and summer clothes soon. If you want to order maxi skirts from me (i'm now offering them with a slit up the side :)), just send me an email at admin@fashioneggplant.com.